5 Simple Ideas to Make Your Backyard Fun and Kid-Friendly. Use vertical space. Hang buckets with holes in the bottom on your fences to place toys and keep the backyard less cluttered if you have a small space. You can also hang up chalkboards for some artistic fun that cleans itself up after a good rain! Make a sandbox. You can find simple instructions online that even the least crafty of us can make. 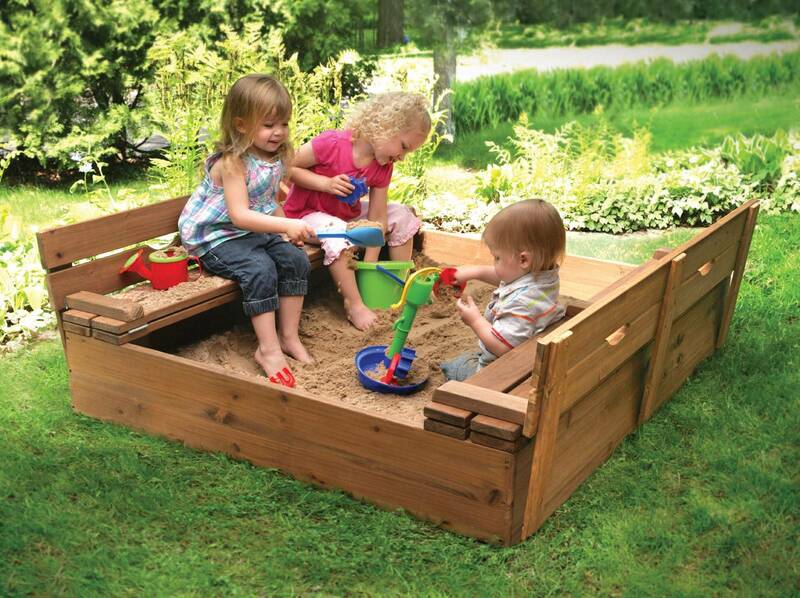 Add a tent to make the sandbox fun come rain or shine! Make an outdoor kitchen. Use old shelving and bookcases to let your kids’ imaginations run wild. Outside, they can be as messy as they want to be, and there are lots of fun “ingredients” to be found in the yard. One fun idea: challenge them to make the prettiest mud pie! Get rid of the bugs. No one can have any fun if they are constantly swatting and slapping the mosquitoes away. Learn how our automated mosquito control systems and spray services can make your yard safe for family, friends and pets.